Pretty in Pink! Although the weather here in North Texas can not make up it's mind, I know that it is pretty dreary in some places right now. So here is a little bit of color to brighten your day. I love this pair of earrings from our shop. They are made from recycled wood. 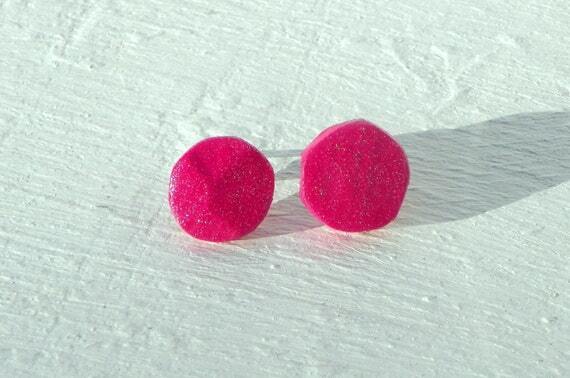 I painted them with fuchsia acrylic paint, then added glitter. They have been sealed with clear acrylic and have stainless steel posts. 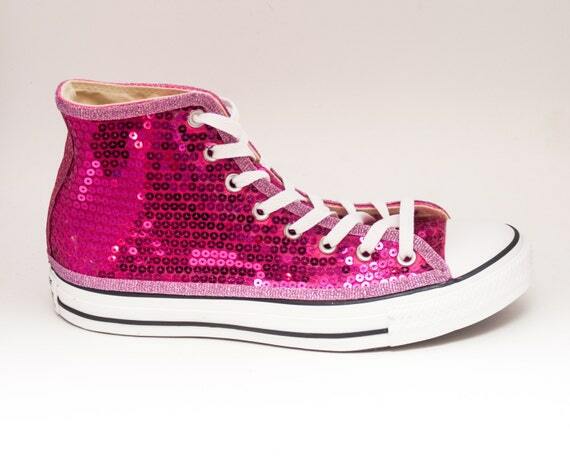 Definetely perfect for a princess, these sequined shoes from Princess Pumps are made to order and available in a variety of sizes. 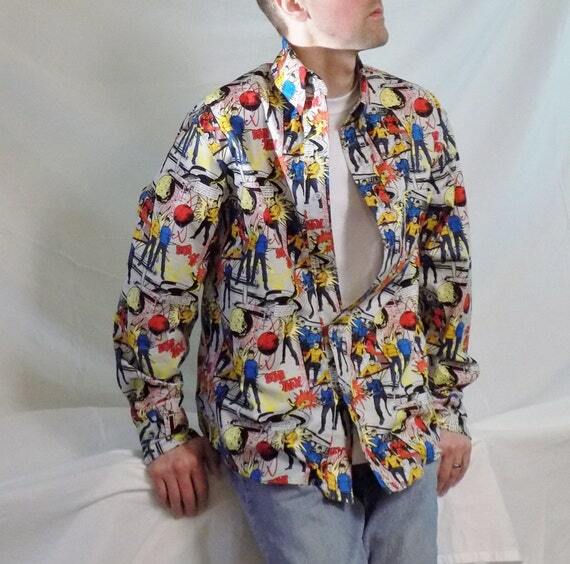 In the spirit of Valentine's Day, or any day for that matter, this sweater from Vintageflyclothingco is a lot of fun. It is also available in red, sports grey, and white. Everyone needs a Deerman! 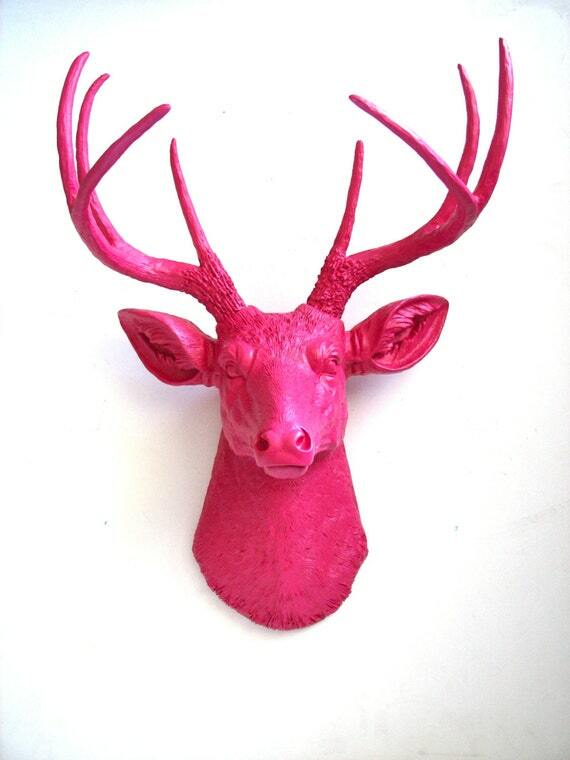 No deer were harmed in the making of this faux taxidermy from mahzerandvee. He is available in way too many colors to list here. Pamper your lips with this lip balm from good4you. 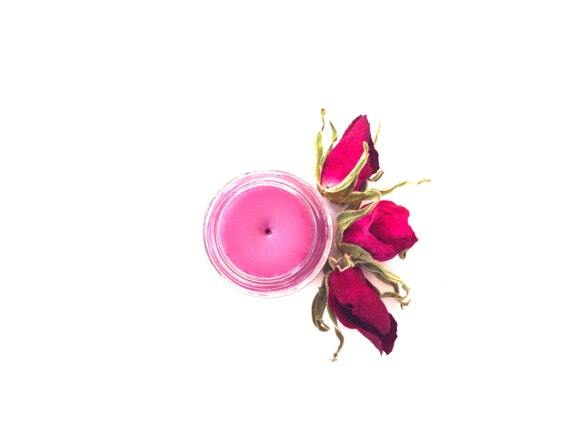 It is made from locally sourced roses and organic, fair trade oils. Flirty and feminine, these pink and black lace shorts from Hypoxic and Lost look so comfortable. 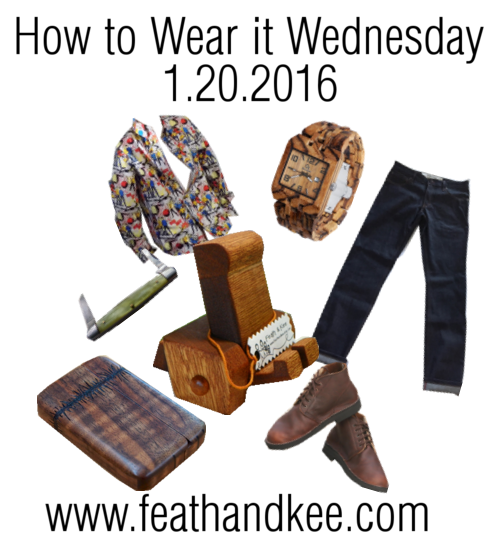 With Valentine's Day around the corner, this week's How to Wear it post is based around gift ideas for him. 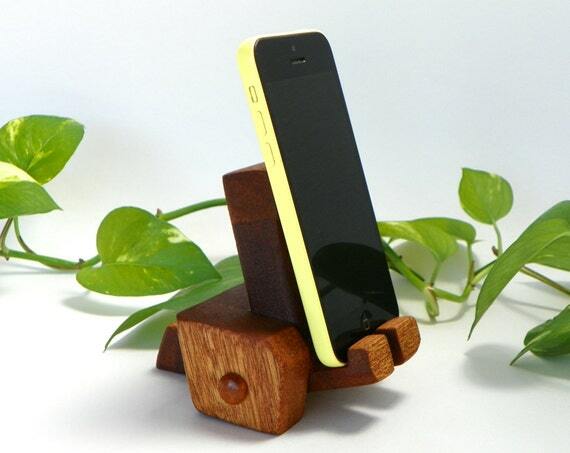 From our shop, this phone stand is made from reclaimed wood that came out of a local church that was being remodeled. It has a linseed oil finish and will accommodate just about every size phone. 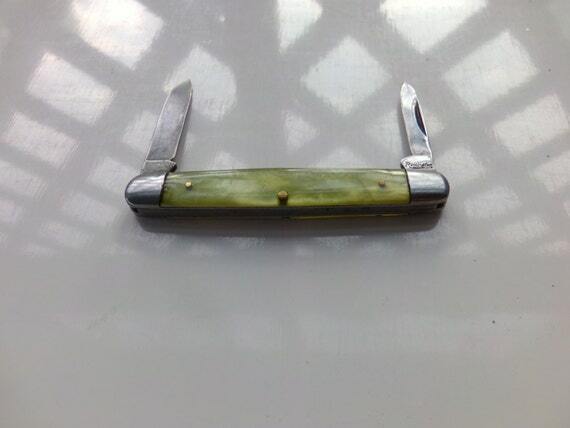 The only vintage item in this week's post, this vintage Remington pocket knife is from the 1930's to 1920's. Find it at More the Buckles. I love the patina of the handle, and simply could not resist adding it! 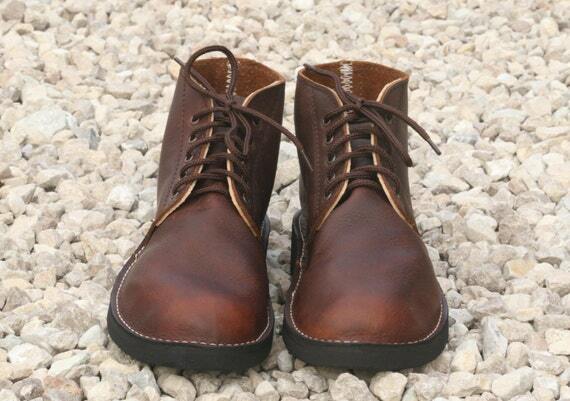 This pair of boots from Noble Soles are custom made from 100% cowhide with Vibram soles. They make one pair at a time to focus on creating shoes that truly fit the individual wearer's feet. 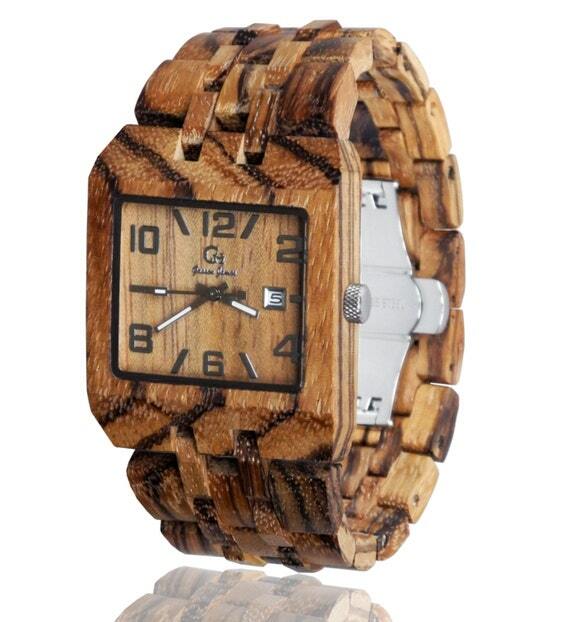 This watch from Woodman Watches is made from individual pieces of Zebra Wood. It features Citizen movement. Since it is made from wood, it is very light weight and hypo-allergenic. Great for Star Trek fans, or for anyone that appreciates something a little different. This handmade oxford comes straight from the Mad Ant menswear line at Faithlyn Melvage Designs. 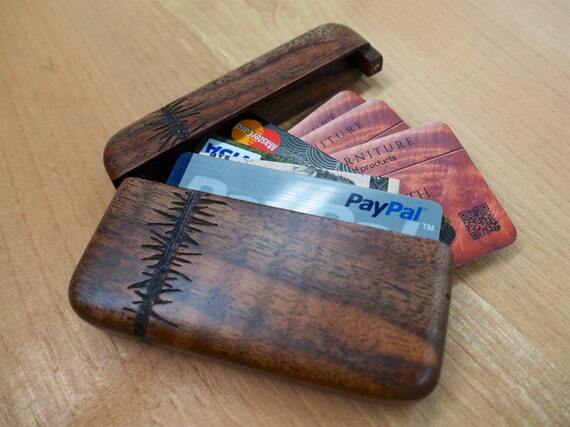 This beautiful wooden wallet from Perfect 45 Degree has been handmade from Oregon Claro Walnut with ebony accents. Handcrafted in Nashville, these jeans from Denim & Spirits are custom made. You can even customize the pocket lining. They are made from Cone Mills selvage denim that was produced in the United States. Selvage denim is exceptionally durable. 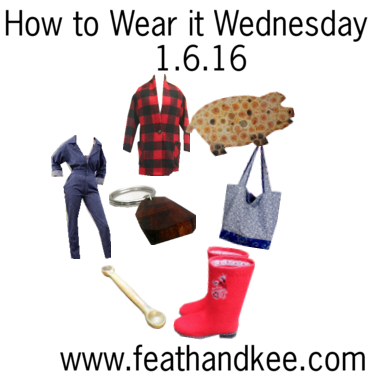 I think that this week's outfit would be great for date night, but can also work well for day time too. Everything is handmade and from Etsy. 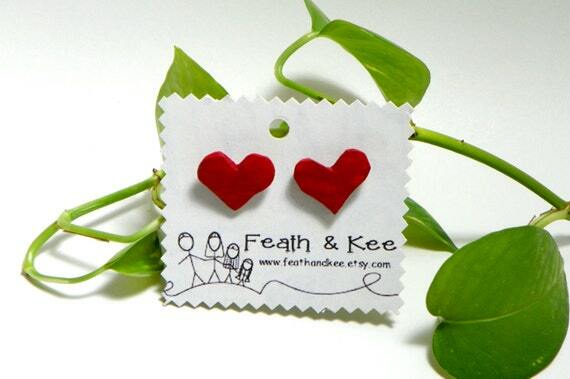 From Feath & Kee, is this pair of heart earrings. I feel that they represent the classic red Valentine's Day heart. Or, at least the classic red heart that I think of when I think of Valentine's Day. I cut, sanded, shaped and then painted these by hand. They have stainless steel posts, and are one of a kind like all of our earrings. 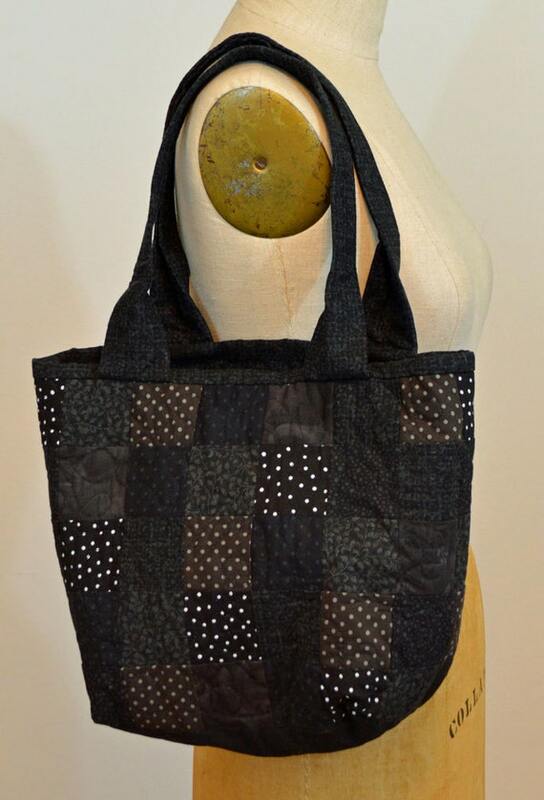 I love the different patterns used in this quilted cotton bag from LuckilyCharming! 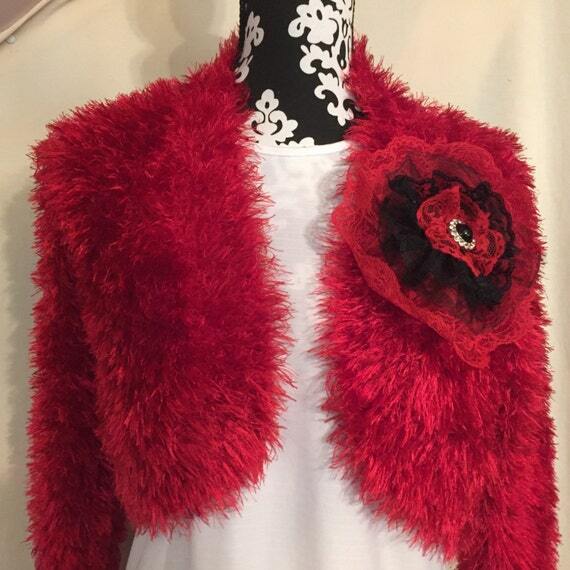 This up-cycled sweater from The Denim Gypsy provides a lovely pop of red. Definitely not your average everyday pair of boots. 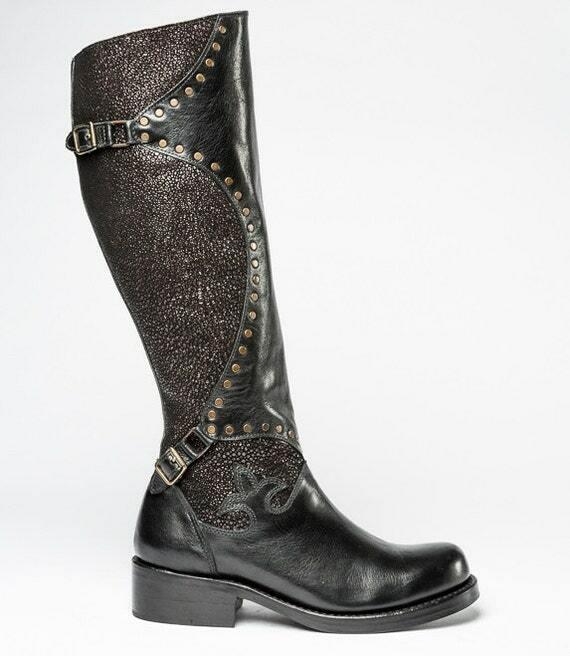 These Stingray Boots are made to order by Nicole Addison Designs in Los Angeles, California. 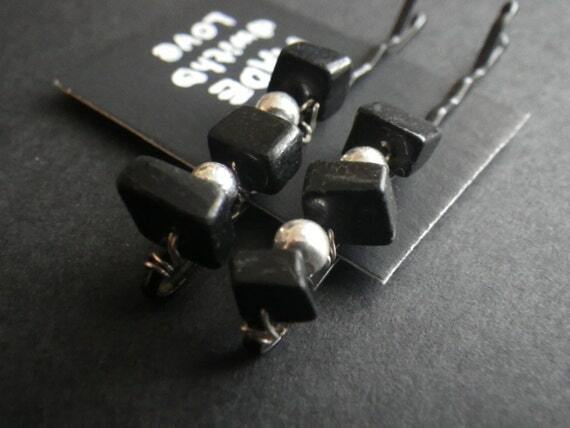 Silver wire, black and silver beads adorn this pair of hair pins from CassieVison. 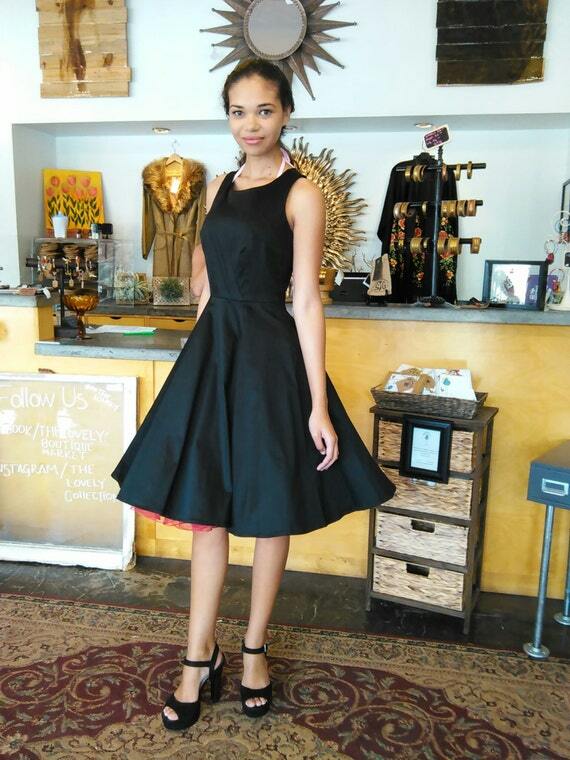 Fun and custom made to order, find this "Breakfast at Tiffany's" inspired dress at Michy Lou Dot Com. Hand-painted wooden beads? Check. Silver plated chain? Check. A touch of bling? Check. 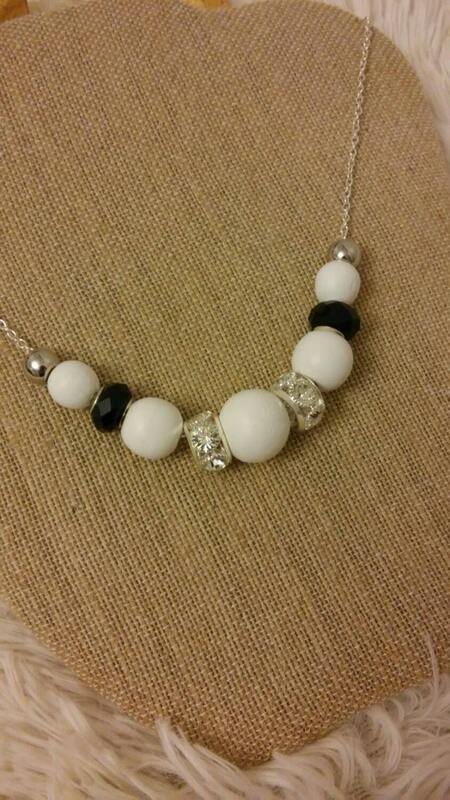 Awesome necklace? Absolutely! Get it at Arnold & Lou. Happy New Year!!! So with it being so cold outside, I decided on a comfy outfit this week. Perfect for running around in the chilly temps, gathering ingredients for a delicious meal. 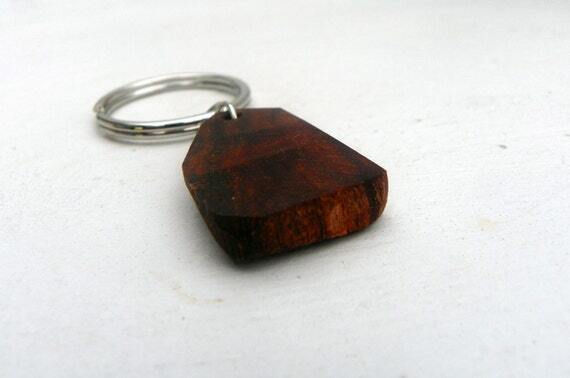 The item from our shop is this unique key chain. It was made from a tree root, with a linseed oil finish. Ready for just about anything, this machinist jumpsuit from Bow + Arrow is made from responsibly sourced materials. Forget flimsy plastic bags! 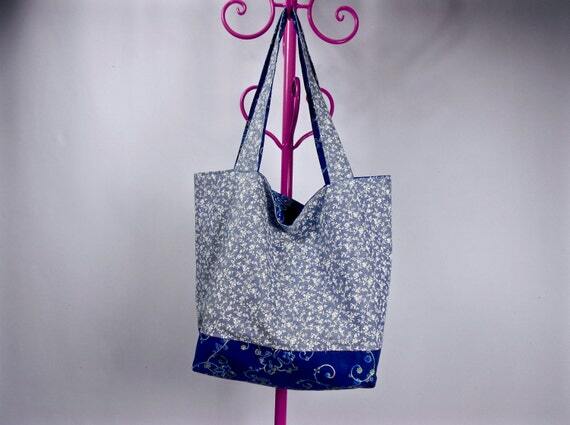 This sturdy fabric tote from Sweet Life Threads is what you need. 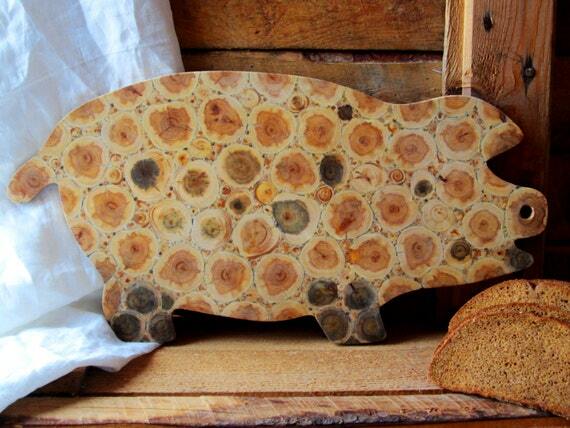 This little piggy went to market... I really like items that are useful and neat looking. This juniper cutting board from Natural Home Treasures fits that description perfectly! 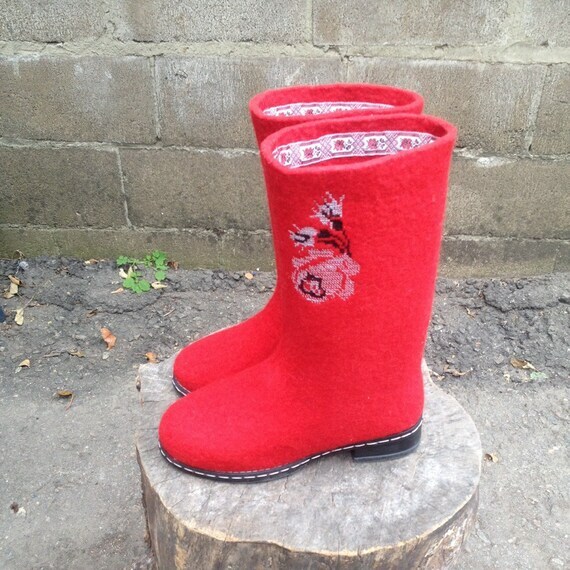 Handmade from Organic Wool, these felted boots from EcoFeltedSlippers add a cheerful pop of color. Wrap up in this snug coat from Qing Studios LLC. 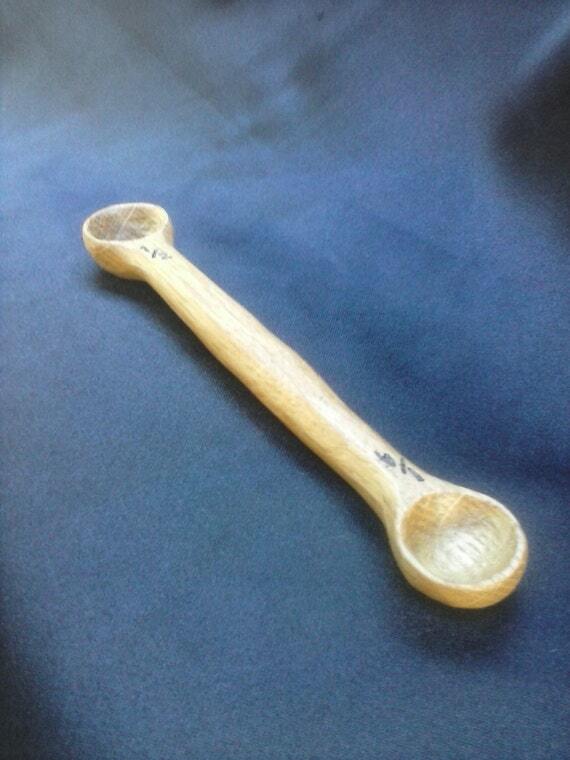 Carved by hand from white oak and finished with food safe mineral oil, this measuring spoon can be found at Liebermann Woodworks. That is it for this week. Stay warm!